Lauren and Josh are a couple I had the pleasure of photographing the wedding of back in November. They opted to have an unplugged wedding, something I absolutely love. Lauren was kind enough to answer a few questions and explain her reasons and results from her unplugged wedding. Q: When did you decide you wanted to have an unplugged wedding? 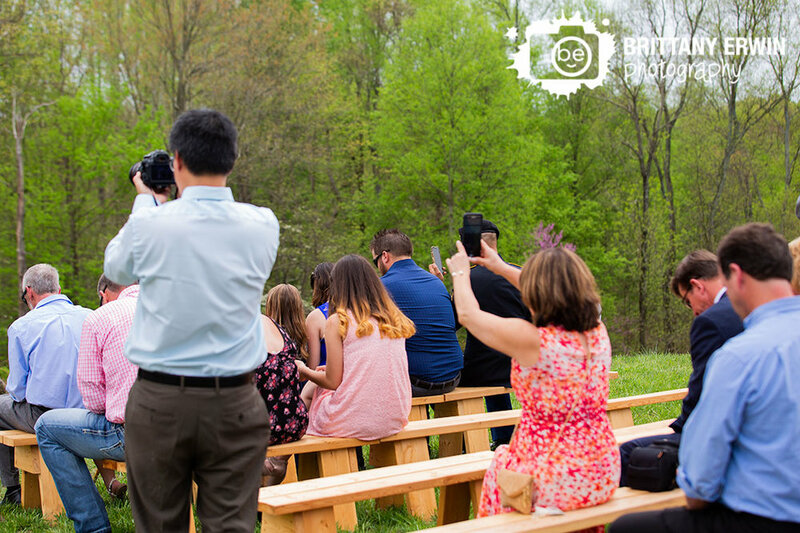 A: I have photographed a few weddings over the years and one of my biggest pet peeves has always been navigating around guests with their phones/iPads/cameras. Having seen the chaos it caused me and other photographers before I even started planning for my own big day, I already knew I was going to be adamant about it being unplugged. Q: What were your key reasons for choosing to have an unplugged wedding? #1 photographers are not being paid for the extra time by the client to Photoshop you out and #2 having to move around you and dozens of other guests all doing the same thing is nearly impossible and could likely cause a missed shot (even with a second shooter helping). I was recently at a wedding where a guest in the third row raised her hand up in the air several times during the ceremony to get shots, which then blocked other guests’ view and distracts from the ceremony. It’s ridiculous. Seriously, the guests are rude doing it and honestly no one wants your low-res, zoomed in so it’s super blurry, pixelated phone pictures – so save it for the reception! We also wanted our guests to be present with us in the moment. I think with the current state of the world, we are all hooked to our mobile devices and don’t give 100% attention. Our wedding was almost 4 years in the making, so it was important to us that our guest were really with us when we declared our vows. We chose to invite them to be there with us, we wanted the respect of being fully present. Q: How did you inform your guests that you were having an unplugged wedding? Did you have specific rules? A: I made two large signs, put a note in the programs, posted about it on Facebook the day(s) before, and our officiant made an announcement, BUT we still had 3-4 guests who assumed our request didn’t apply to them, so unfortunately you can only make a request it’s never a 100% guarantee. Q: Were there any steps you wish you had or hadn’t taken to implement your wedding being unplugged? A: Our officiant didn’t announce our request until after I already walked down the aisle (which was my fault for not informing him otherwise). Once he did, our handful of rule breakers put their phones away. I wish I would’ve instructed him to announce it ahead of time or have our DJ announce it to make sure it was heard. We also noted it on our wedding website, but maybe we should have even included it as part of our details in our invitation? Q: Now that you’ve had your unplugged wedding(woohoo! ), how do you feel about your decision? Any unexpected pros/cons? A: I am pleased with our decision. For the most part, everyone followed our request and didn’t ruin any photos! I would definitely recommend unplugged to anyone planning a wedding, but just be sure you inform your guests and stand your ground that it’s what you want!